In the digital world, keywords play a role in almost everything. For the most part, they are the way in which we target and ensure the right people arrive at the right destinations. Let’s focus on the role of keywords across Google and standard web pages, as well as talking about a variety of keywords and what they do. Many media channels use keyword targeting or something very close. YouTube uses tags instead of keywords but they are nearly the same thing. Searching the tags will serve a similar experience as specific keywords which will display their videos. Most websites use keyword targeting as it brings net new users to their website. Twitter also allows searches of broad keywords as well as an exact match if you put it in quote marks. Targeting is using keywords relevant to your business, product or services in website, blog, PR and PPC ad copy with the aim of achieving a top listing in search engines, such as Google and Bing. To rank for keywords proper keyword research is needed to establish which keywords your business should be targeting. When creating a paid search campaign (Google AdWords or Bing Ads) make your keywords as relevant as possible while aligning with your audience. The best way is to leverage Keyword Planner in Google AdWords, which helps you find the best performing keywords that relate to the topic you are marketing for. 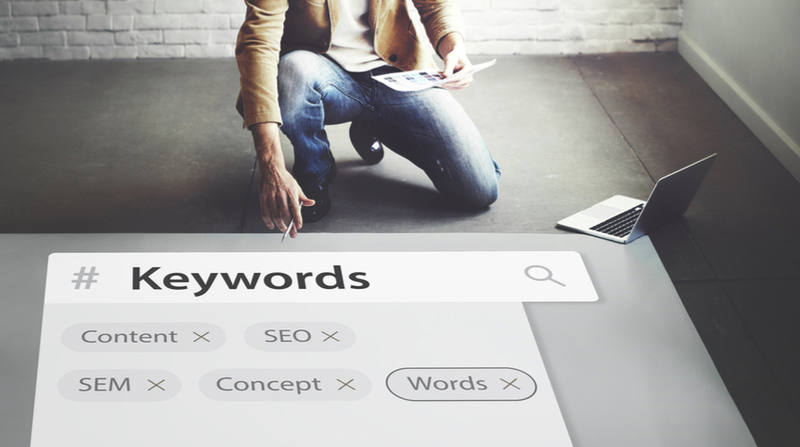 It’s crucial to find keywords relevant to your landing pages to avoid the wrong people clicking irrelevant keywords – this would ultimately increase your CPA (Cost per acquisition) and overall spend. Fortunately, Keyword Analysis can help you find the right keywords for your landing page, providing only closely related keywords to the terms you’re focused on. This will help you diversify your ads, without sacrificing audience targeting. For your website, it’s essential to have keywords in body copy to improve your quality score on AdWords and organic rankings in SERPs. This enhances the visibility of your website and helps improve your CTR/CPC – thanks to a higher quality score ranking. Example: searching for something like ‘cars’, not very specific but if a website contains the keyword ‘car’, it will be displayed on the Google AdWords search page and increase the quality score for your ad. A longer tail search would be ‘Black BMW I8 2018 for sale’, your quality score will rise even further if a website sells this specific car. By adding target keywords to the back of a website’s code, potential customers can be driven to that location. Google takes a snippet out of your meta descriptions which will be displayed on the Ad on the search engine. This can bring more users to the landing page as that specific keyword will be displayed on the Google page. Once you have implemented these tips you’ll soon be seeing a decrease in your CPA, CPC and total spend! Learn more about our approach and capability of Paid Search or Search Engine Optimization here!